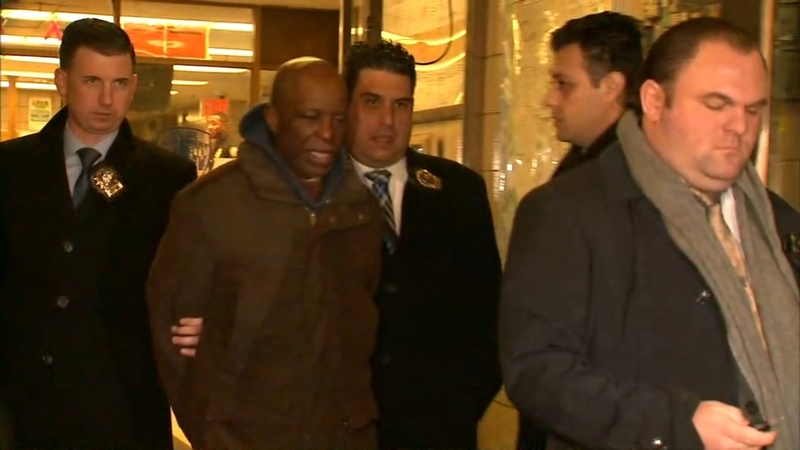 GREENWICH VILLAGE, Manhattan (WABC) -- Police made an arrest in a violent mugging in Greenwich Village. Police say Leroy Wright, 59, beat and robbed an 81-year-old actress in the lobby of her building this past October. The victim, Barbara Ann Davison, was punched several times in the head and face. Surveillance video shows the brutal attack in Greenwich Village. Police say the suspect then got away with her handbag. He is charged with two counts each of robbery and assault.